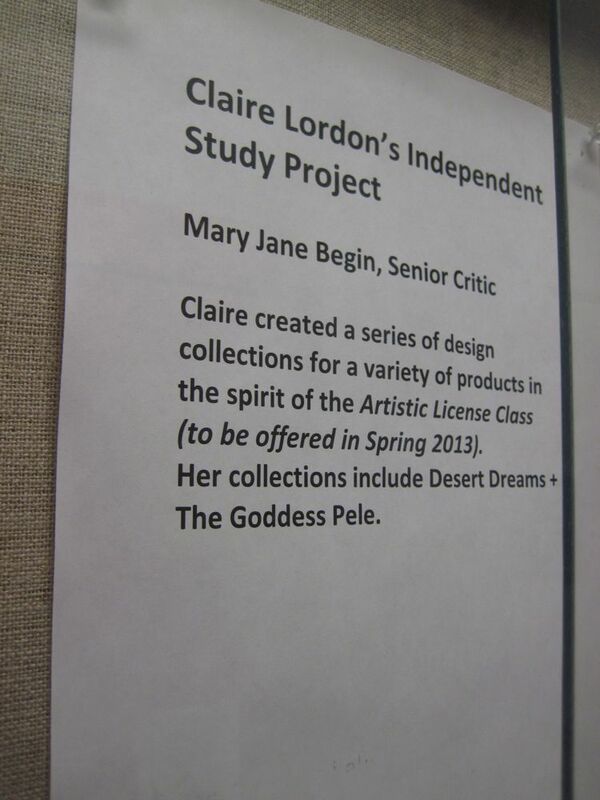 My amazing instructor, Mary Jane Begin, is working with me on my surface design independent study project. My independent study is based on a surface design class that used to be taught at RISD and that will be taught again next year. 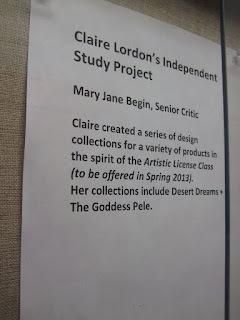 Because Mary Jane wanted to start promoting the class again, and because she has liked my independent study work, she decided to put my work in one of the glass display cases in the illustration building. Usually the glass cases contain work from one entire class of students and a student is lucky to have a piece chosen for display. I'm so blessed to have an entire display case to myself! 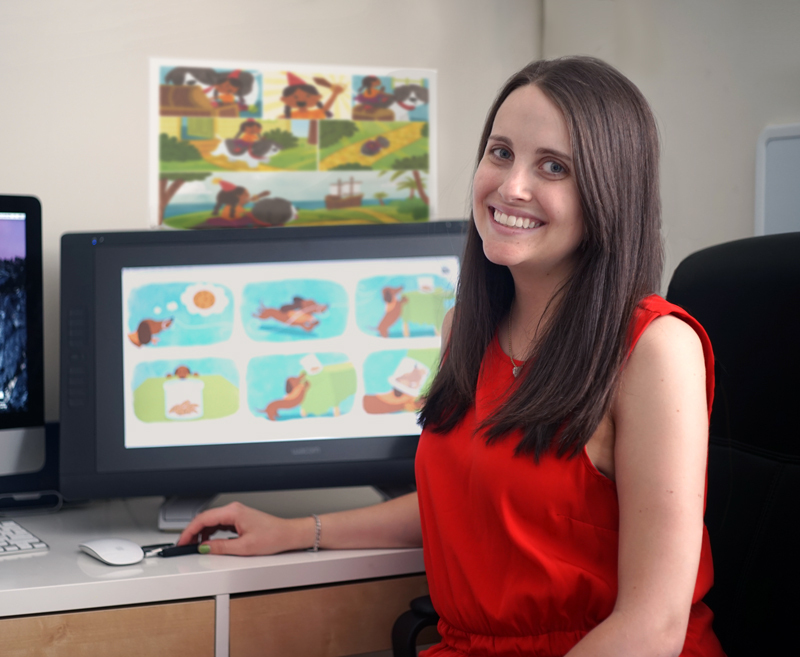 I hope this display helps students become interested in the class next year so they will learn that surface design is a fun and interesting field within illustration.